Suuchi Ind. has begun working on the first mass-production prototype for EiBO Gear. We look forward to sharing our creation soon so that all can see and soon feel what we have spent months creating. Also, a new basic logo has been designed, critiqued, improved upon, and released. We have worked with many iterations of this design, and think it appropriately represents EiBO's image, simplicity, and message- Everything is Better Outdoors. EiBO Gear is pleased to announce their partnership with a renowned contract manufacturer- Suuchi Ind out of New Jersey. Once the sourcing of fabrics is completed, we will be waiting anxiously for Suuchi Ind to finish creating the first version of the next generation of outdoor clothing. Stay tuned for an upcoming Kickstarter Campaign, and updates to our SHOP. EiBO Gear is nearing the end (or the beginning), of their Kickstarter campaign. We look forward to getting support, and public feedback around the apparel we plan to offer. We hope to design durable clothing that is highly functional, but equally aesthetic. When nudging your way into an industry that is worth billions, and has millions of loyal customers, you know you've got a long and tough road ahead of you. We're excited about the challenge, and we're excited to roll out a product that is made with a function, sold with a purpose, and created to effect some form of meaningful change. Conservation and consumerism wouldn't blend well in a cocktail (think black and tan), but we're taking a shot at blending the two to achieve something that is greater than the sum of it's parts. Lets take the leap together. Our commitment- we'll fix your shirts for life (as long as feasible). Why not? 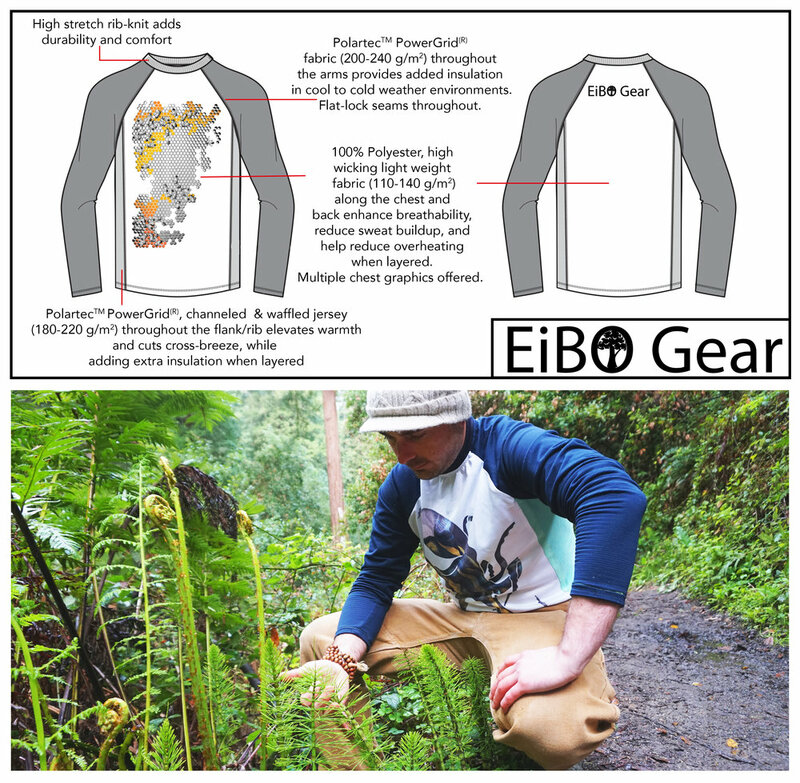 EiBo Gear is taking the plunge into apparel. There is a great deal of work ahead of us, but we have begun working on preliminary designs. We look forward to a future where purpose is placed ahead of profits, and where art and the outdoors are combined. We couldn't be more excited to start working with Francis Spontelli (i.e. Frankie): a passionate and promising outdoor photographer who currently resides in Denver, Colorado. Frankie's relationship with EiBO started some time ago with a couple chance encounters in Ohio. After some time, and some light negotiation, EiBO gear and Frankie have decided to partner in a creative venture that will grow EiBO's digital presence, and increase it's creative content. Most people know that a picture is worth a thousand words. Frankie has agreed to generate volumes of words and emotions through photography, and we stand to benefit because hey, he'll be photographing for us (well, not all the time). Thank you Frankie- we look forward to growing with you. EiBO Gear welcomes a newcomer to it's ranks: Josh Cohen. Josh is stepping into an essential, and long awaited role for EiBO Gear- Chief Operations Officer (COO). Josh is chiefly responsible for, well, nearly all aspects of marketing, sales, operations, and product improvement. Josh brings with him nearly a decade of sales and marketing experience, and we couldn't be happier to have him on board. Josh loves the outdoors. He grew up in a beautiful and wooded area of southeast Cleveland, and has always been an outdoorsman at heart. Josh learned to really cherish and treasure nature as a young boy through trips to Martha's Vineyard, extensive reading, excursions through Cleveland's nearby metro parks, or supervised training at summer camp. Despite a love for nature and outdoors, Josh initially decided to enter into industry specializing in scalling sales capacity in small, but rapidly scaling companies from niche commercial negotiation consulting firms, to enterprise software providers. EiBO is an exciting project for Josh because it will enable him to blend his business development skills with his love for the outdoors, and he's extremely excited to start this new adventure with EiBO Gear. Since the beginning, Intra-net(s) has been in support of forest and forest conservation. For this reason, EiBO (Everything is Better Outdoors) was born, and with it, the Sky-Deck. Our new name truly embodies what we are, and we hope you agree. If you don't know what the Skilletation Nation is, don't worry- it is somewhat of an inside joke among friends of Intra-net(s). What is not a joke, however, is the new strength and capacity of the most recent model of Intra-net(s). Recently, over the fourth of July weekend, we got a change to test the strength and gauge public interest in the aesthetics of the newly re-designed Intra-net. Click on the header to link to a picture of 9 friends sitting in an Intra-net, having what looks like a good time (debatable for those stuck in the middle). I count 9 men at no less than 170 pounds a piece (many are > 220). Thats over 1,500 pounds in a single Intra-net, and not only was it holding tight, but feeling mighty comfortable too. 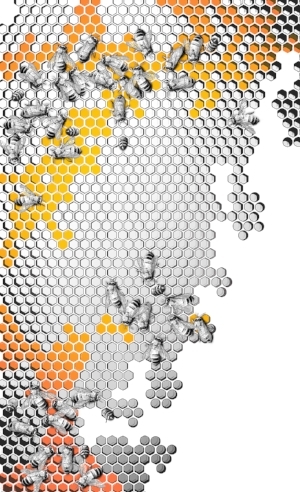 We look forward to further innovations in Intra-net(s)- where safety and fun are paramount. As my partner and I traveled through Utah last week, we saw what was easily the most beautiful landscapes in the world (or at least of their kind...). As we traveled across the United States- from the Grand Tetons, to the Canyonlands (see below), to the eastern Sierras of California and Nevada, it became very apparent that 1) our world is beautiful and we need to find more ways to enjoy it, and 2) Intra-net(s) has a place in this world for forest lovers like myself. I can't wait to return to Santa Cruz to continue my 2015 lineup of Intra-net(s). The provisional patent has been approved, and Intra-net(s) is one step closer to being a full fledged, albeit tiny, gear business. Intra-net(s) has successfully moved to Santa Cruz, California, and a workshop is in the making, but those of you who are interested in your own Intra-net will have to wait until September of 2015. Stay tuned for more information on upcoming designs and colors.